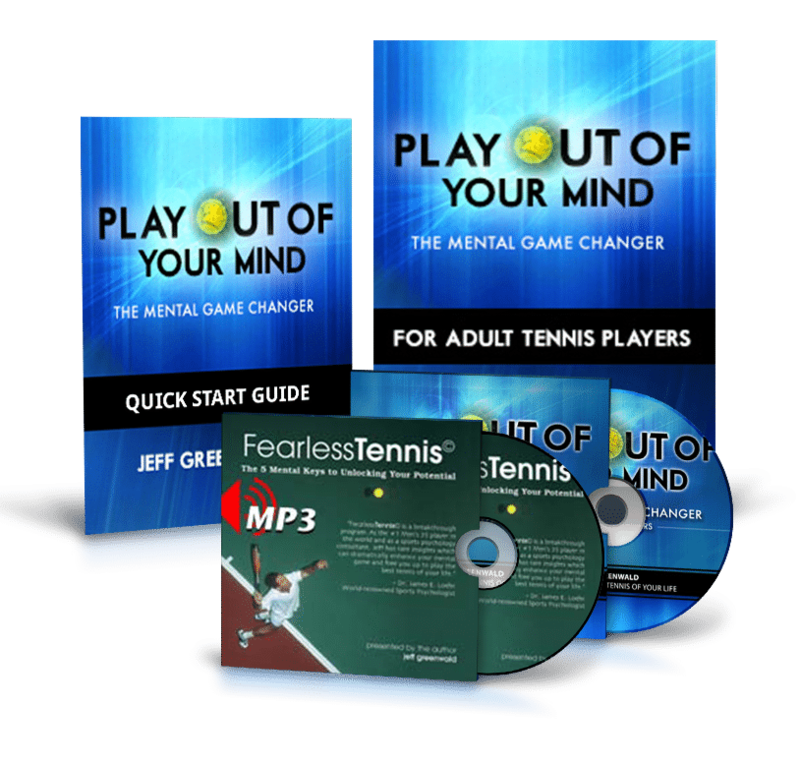 If you want to transform your mindset and learn practical strategies to take your game to the next level, this Fearless Tennis Premium Package includes two audio programs (2 hours each), a 36 page manual and quick start guide to get your mental game on track immediately. This is designed specifically for the adult tournament and league player. Learn the focusing secrets of the best players in the world. Play as well in tournaments as you do in practice. Drop tension and create your optimal level of looseness. This Fearless Tennis Premium Package is designed specifically for the junior tennis player and will provide them with the critical tools needed to compete under pressure in tournaments. It is recommend that players listen to the Fearless Tennis audio first followed by the Play Out of Your Mind audio program. Play as well in tournaments as they do in practice. Drop tension and create their optimal level of looseness. DEstablish a weekly regimen to integrate new mental skills.